in class of prof. Goran Listes. 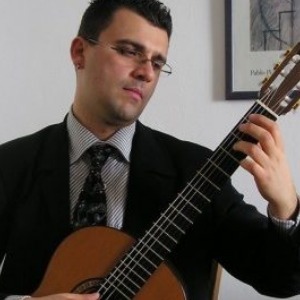 In 2002 he won the first absolute prize at 8th International Guitar Competition „Citta di Casarza Ligure“,. Kolundžija – Serbia and Montenegro, Orest Shourgot – Ukraine). lecturer and as a high lecturer on the same academy. fest“ in Omis , Croatia.